Q: Name something in eight letters that's usually bought in pairs. Change the second letter to the letter two spaces later in the alphabet, and you'll get a new word that names something else that's usually bought in pairs. Both words are plurals. What are they? Put the two words together and that's also something that you can buy. Who knew? Glad I could solve early and submit the answer well over the wire. They are sometimes used simultaneously. I can’t think of a good clue right now that wouldn’t be close to a dead giveaway. Maybe later. I can state with near certainty that there is only one pair of words that works. So if you think you have the answer you almost certainly do. I found a second pair. WS could have said two spaces forward or backward. Are we really going to continue this back and forth thread? Shouldn't that be "I guess sew?" Are you accusing me of being a prick? I agree. You're tearing apart the fabric of this group. This seams silly. Does it knot? Yeah, so it's tailor-made for this blog. Being a man of the cloth, it seams to me there is a pattern unfolding here. Don't be a spool sport. Allow us to selvedge our reputations from unraveling. It's all about the Seamsters Union, eh? Seams like we meed to iron out our differences in this train of thought. Otherwise we may just keep bobbin along. Just in case I have a notion to gather. I gather you guys going to hem and haw over this all day long?!?! Lining and weaving new notions to your warped purls of wisdom? It'th thimble to thee what'th going on here. 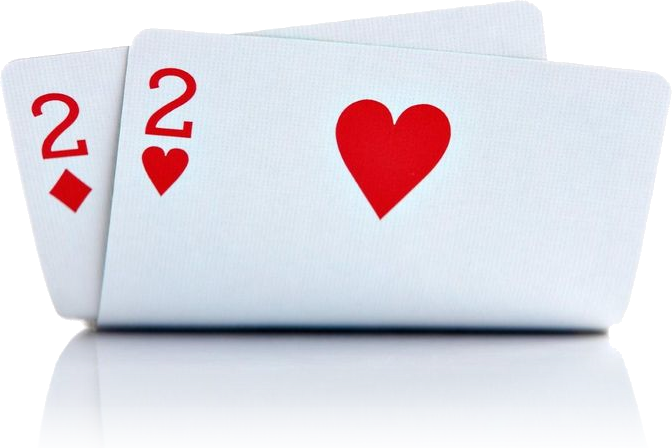 Would you like to in crease our number and join our fold? We're running out of puns. The end is looming. I think Sewers are beneath them at PBS. Please don't tell me the end is looming. I've been on pins and needles all day. Twill be sad when it's over. Okay, that's awl for now. You have per-suede-d all of us. You're just showing your bias now. We have a surplice of terms left. Hemming. . .Hawing. . . I suppose we could serge ahead. I gusset is the end. Might as well face it. Don't try and buttonhole me. I yarn for the days when we just discussed puzzles! I've heard that old yarn before. Not sure how to stress this, but we seam to be caught up in stitches today. And the red red robin goes bob bob bobbin' along, a l o n g. . . Some of us have to toile for a living. Maybe this is becoming a toile of two cities. Surely weave all got better things to do. This top-notch humor is batting 1000, and it's really cotton. Wool put an end to the shear madness? Or at least take a nap? "Eyelet this go too far, one pun's bad, but apparel make me bolt. Can iron fast enough?" It has been sew sew fun. Time for me to cap it you late. Eyelet yew awl off the hook. Weevil half to do this again sumtime. Blaine may take drastic measures if this thread does not run out. Or give us a belt. What a waist! I thought we were suspending this. Congratulations to Blaine on his decision not to enter this fray. And just what makes you think he has even seen it? He needs to be dressed down. This seams to be a pattern... Just remember you reap what you sew. In home ec, we had seam rippers so we could rip what we sew. . .
Good thing not all have felt the need to pile on. Seams to have been a good fit for some of us. What does this fascination with "seamstressery" puns say about us? Perhaps it stresses the seamly. Just remember that Thanksgiving is also Dressing Day. And we should not forget the Hollywood maxim: Edith Head gives good costume. Will someone clothes this loop? What do you suggest we drape it with? Let's just hang it up for a change! Please don't hamper our style. Sew, are you telling me to zip it? Yes, and snap to it. (There was supposed to be more space in previous post....IE..no comment...I zipped it. I found two good answers. I think I know it??? That might be an alternate answer, but I don't think it is the intended answer. Darn. That's the one I came up with too. Back to the drawing board. Did you notice that the new 2nd letter of one of the answers is the original 2nd letter of the other of the answers? Uh, not quite. You must first depluralize one of the words before putting the two words together for the something also which you can buy. My rebus clue from the end of last week's blog relates to Blaine's clue. Do you suppose the manufacturer of this product is wondering why he's suddenly getting so many web hits this week? Fittingly, there is at least a pair of pairs that satisfy the answer. I knew people will debate the answer(s).....quit horsing around! After doing a little electric wiring, I put my feet up in the recliner, and the answer hit me. I didn't think that was close to the line. Anyway, I was unhappy to see ice on the swamp on my bike ride this morning. I did see some of NJ's fearsome turkeys, a big tom displaying to a bunch of hens. I wasn't chased by any birds (or dogs). I got both answers quickly, hours ago, and went back to sleep. Why do I even bother with these low quality puzzles anymore? For a much better puzzle, I would suggest you go on over to Lego's Puzzleria! and see if you can solve ron's offering for this week. I will have a much better one over there come next Friday too. Thanks, Natasha. Glad to see your sense of humor is in the pink. Jan, Glad I saw your post before it was censored. Hello everyone. I've never visited this site before, and I rarely listen to the Sunday puzzle but I found time this morning, and have found an answer. Unfortunately, I'm fairly certain that it is not the correct one, but I'm wondering if it's acceptable... One of the words is fairly normal, but the other is a noun I know is a word, but not very often used. Any help? I think the answer you have is not the intended one, though Will may accept it. I don't think this puzzle would fly in England, but U.S. kids should have no trouble. Hmmmm, wonder who will show up this week. . .
Take the first name and initial letter of the last name of a well-known singer, change one of the letters to the letter three spaces later in the alphabet to name a famous city. In my intended answer the group most associated with the singer has a connection to the country. And Ron, I hope you can hold off buzzing in the answer and give some other folks a chance to think about it. Take the first name and initial letter of the last name of a well-known singer, change one of the letters to the letter three spaces earlier in the alphabet to name a famous city. In my intended answer the group most associated with the singer has a connection to the city’s country. I now have the intended answer but my earlier answer was a fun one. The second word of the intended answer has been in the news recently. I came up with this pair pretty quickly - not sure if there is more than one answer, but I'm glad I'm not going to have to spend the whole week untangling it. --Margaret G.
I now have two pairs of answers - and they conform to EaWAF's hint. I agree with Rob… not a bad puzzle. And, I can use the alphabet I wrote down last week to see which letters are two spaces apart in the alphabet. I have the answer Blaine hinted at, which I believe is Will’s intended, and the alternative pair also. All four words begin with the same letter. What would impress me – and likely Will – is if someone comes up with a pair that begins with a different first letter. My knowledge of the Bible led me to the following “false-start” answer. Noah, the 2-by-2-animals guy – who I believe used 2-by-4’s, however, to construct his floating zoo – wanted to ensure each species of critter was comfortable during the 40-days-and-nights deluge (plus roughly 190 days of receding). So he built a pair of “person”al spaces for each species – cubby holes for the bears, crannies equipped with scratching posts for the cats, nooks stocked with cookies for the Wookiees (ancestors to the Cookie Monster), and, of course, stables furnished with tables for the zebras. Incidentally, thanks to skydiveboy for the Puzzleria! shout-out. We have assembled some challenging but fun puzzles over there this week. And, speaking of “false starts,” I apologize to Blaine and Blainesvillians for my two deleted posts. > spaces apart in the alphabet. This would have been a good challenge to ask for two pairs of pairs. The ones I have bear some interesting interconnectedness. Google doesn't really seem to want to deal with one of the words. Was last week's puzzle easy enough to have expected 2000 entries? One of my answers I intend to use in just a few moments. They match, of course, being the pair they are. MOTley crew there at NPR. . . The two words are rhymed in a fairly well known pop song. The Lincoln-Douglas debates come to mind. patjberry. It's a good line too. Don't ask me why, but you may be right. Alluding to Snipper's early comment. And the thread just above. Time to cut out the sewing puns. What do victory, a big cat and a little goat have in common? Did we get you goat, a little? Paul Ryan says he doesn't want to be President. Did you happen to notice if his lips were moving when he said it? I miss The Far Side. > A rebus clue: BEAM monarchs tardigrade. Besides being an acronym for Bigelow Expandable Activity Module, "beam" is also a synonym for "ray". "Monarchs" is a synonym for "kings". And a dessicated tardigrade is a "tun", a homonym for "ton". 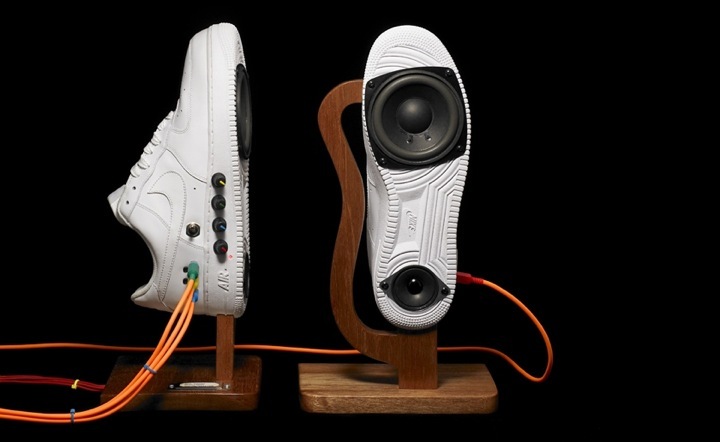 Put them all together to get Ray Kingston, creator of the Sneaker Speaker. My deleted clue was "Wendy Davis's filibuster". She was a speaker in pink sneakers. > I wasn't chased by any birds (or dogs). No tweeters or woofers were after me. > I don't think this puzzle would fly in England, but U.S. kids should have no trouble. Brits call sneakers "trainers". Reference to U.S.Keds. > Time to cut out the sewing puns. > What do victory, a big cat and a little goat have in common? > Paul Ryan says he doesn't want to be President. So, if the Speaker's running, he's gonna need sneakers. > I miss The Far Side. But, I may just be putting my unshod foot (feet) into my mouth. *I was going to say humble opinion, but I don't think anyone would believe that. I first got to the SLIPPERS answer; hence "Morning." "Hmmmm, wonder who will show up this week. . ." referred to our very own SNIPPER! The SNEAKERS, SPEAKERS answer snuck up on me later. So, first thing in the morning, you put on slippers, grab snippers, and tend to the cosmos? I do. Though my garden cosmos may be under two feet of snow by Sunday. I first came up with slippers & snippers, but didn't like it. It took a few more minutes to get the intended answer because I never have used the word, sneakers. Jay North played Dennis the Menace. Young Dennis wore his bibs and sneakers. 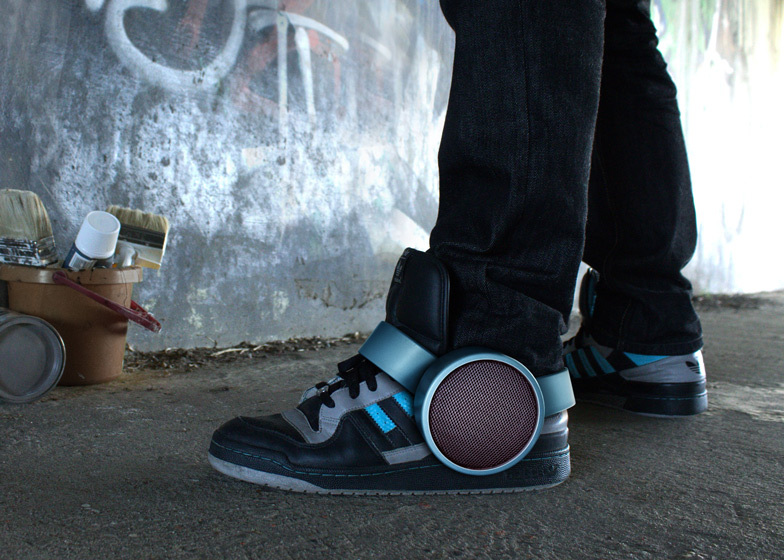 The modern day Dennis is a creeper sneaker speaker (exspeaker). While Alan Hale wore the Skipper's slippers. Thanks Word Woman for the call out. I clearly thought it was "me" and slippers before realizing sneakers and speakers. My reference to recent news was former Speaker Hastert. As Blaine indicated you can purchase some SNEAKERSPEAKERS. Quite presciently I wrote that "people will debate the answer(s)", and of course people who debate are speakers. I added "quit horsing around" to follow up on Blaine's SneakerSpeakers with Snippers Slipper, a thoroughbred quarter horse. The bonus puzzle answer is Tony O(rlando)--->Tokyo, his most noted performances were with Dawn, and of course Japan is the "Land of the Rising Sun." I also noted this puzzle was quirky sounding, "Tie A Yellow Ribbon Round the Ole Oak Tree" is their most famous song, and oak trees are in the genus Quercus, somewhat quirky sounding. Lego added a hint about Tony Oliva, aka Tony O., a very good baseball player from Minnesota in the 1960's/ 70's. WW, Yew might pine for that, but SDB will spruce up the blog with bad tree puns. And then the fir would fly. I wood chip away at all your posts until you log off and then I'd spruce up this denizen of pulp fiction. Sorry, I just noticed I re-used spruce. Willow yew forgive me? Yew also re-yewsed yew, and need to make a yew turn. I maple your license. I must have missed that one too. Oak A, but shouldn't that be a ewe turn since I feel sheepish? I won't hound you over that. I'm sure you're just as poplar as ever; just glad I beech ya to it. I'm glad you won't "hound" me. I don't know what a dogwood do. As mentioned in "It's Still Rock and Roll To Me" from Billy Joel's 1980 album "Glass Houses". Great album. Musical clue: The Beatle's album, Rubber Soul - 'Rubber Sole'. I couldn't think of a good hint without giving the answer away. I disagree. You thought of a great hint that didn't give the answer away. Thanks! I thought that was one of their best albums, too! Hah! That's a good one!! 68Charger, in stereo. . .with a mono in the middle. . . I suddenly have a whole new perspective on the 'zebra crossing' thing. I think you meant to say "(Just snuck that in there)." When Eskimos play buckets they wear snukluks. I believe "Windchill Jordans" are the most popular brand. Wikipedia's Picture of the Day is a salute to our punfest. Jan, I thought it might be a picture of a "SINGER"!? Snipper, My comment on Mon Apr 11,, was put there both because of your screen name, and because I thought you referring to the speaker of the Althing, Iceland's parliament. So one idiom meaning "Imagine that!" And a speaker reference different than yours. You just MUST try skydiveboy's wonderful global poser. It concerns a product associated and promoted with a particular "icon" of a particular geographic region. It is a challenge but the answer is satisfying. Oh yes, there are 10 other puzzles also, half of which riff off and rip off Shortz. Sunday's two long days away. Drop by. Next week's challenge: Here's a tricky challenge from Sandy Weisz of Chicago. Take the name of a famous musical. Write it in upper- and lowercase letters, as you usually would. Now turn one of the characters upside-down and move it to another place in the title. The result will be the last name of a well-known stage performer. What is the musical, and who is the performer? I am not stirred by this puzzle. Actually, I thought it rather cute - if a little too cute. There's a difference between tricky and a cheat. If you follow the directions exactly, it doesn't work. In fact, when Will presents the puzzle on air, and then repeats it, he words it slightly differently. One form doesn't work at all. Agreed. I'm surprised that error wasn't edited edited out of the tape. Sloppy. I did a double-take, SuperZee. Oops , I forgot to say, 'Letter, please? '.